Just A Coincidence That A Historic Blizzard Named ‘Jonas’ Hit D.C. On The Anniversary Of Roe v Wade? On January 22nd, one of the worst east coast blizzards in history slammed into Washington D.C. like a freight train. More than three feet of snow was dumped on some areas, hundreds of thousands of people were left without power, and coastal cities all long the eastern seaboard experienced flooding to a degree not seen since Hurricane Sandy. Tens of millions of people live in communities that were completely paralyzed by this storm, and it is being projected that the total amount of economic damage done will ultimately be in the billions of dollars. January 22nd also happens to be the anniversary of the U.S. Supreme Court decision that legalized abortion in all 50 states. Since that Supreme Court decision, more than 58 million babies have been murdered in abortion clinics in America. Could it be possible that it is more than just a “coincidence” that both of these events happened on January 22nd? 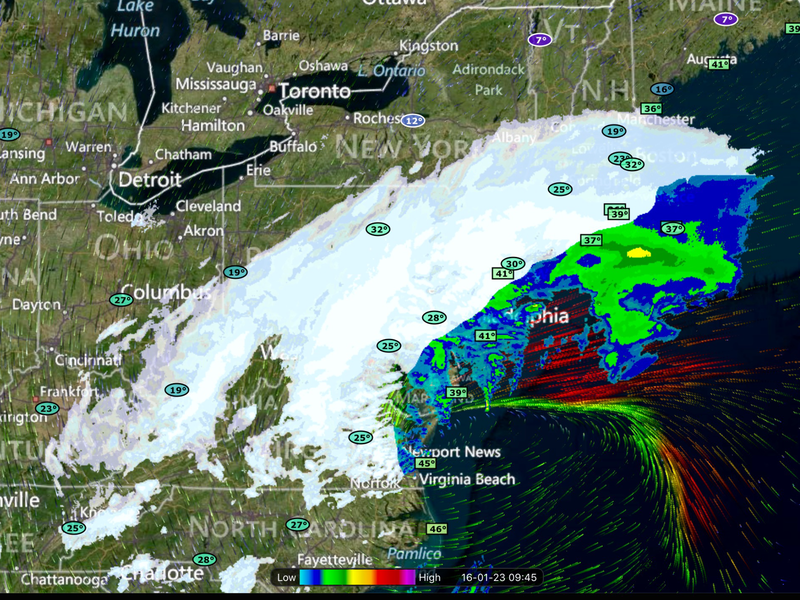 In a previous article, I noted that this east coast blizzard was officially given the name “Jonas”. It turns out that “Jonas” is actually a Greek transliteration of the Hebrew name “Jonah”. In the Bible, Jonah was sent to the city of Ninevah to warn that the judgment of God was about to come. Some are suggesting that it may not be any accident that a historic blizzard named after this Biblical prophet hit Washington D.C. on the exact anniversary of the Roe vs. Wade decision. It was the biggest snowstorm ever recorded for three cities — Baltimore (29.2 inches), Allentown, Pa. (31.9) and Harrisburg, Pa. (34), the National Weather Service said. New York City picked up 26.8 inches of snow, missing its all-time record by one-tenth of an inch. In the D.C. area things were absolutely crazy. Dulles Airport got a total of 29.3 inches of snow, and Baltimore-Washington International Airport got 29.2 inches of snow. Some of the outlying areas actually got closer to three feet of snow, and it could take weeks for transportation in the region to get back to normal. New York City got absolutely pummeled as well. CNN is reporting that John F. Kennedy International Airport got 31 inches of snow and New York’s Central Park has been buried under 27 inches of snow. As the East Coast is hit with one of the most powerful storms in recent years, the West Coast is continuing to be slammed with storms thanks to El Nino. The city of Pacifica in northern California declared a state of emergency Friday after continuous El Nino storms slammed into the city’s coastline,KNTV reported. A sinkhole and a severely damaged sea wall are part of the destruction in the city from the wild winter weather. ‘El Nino is hitting the city’s coastline very hard and creating almost daily reports of impacts to both public and private property,’ City Manager Lorie Tinfow told KNTV. -Around the turn of the year the middle part of the country experienced absolutely horrific flooding. The only thing people can really compare it to is the great flood of 1993, and Missouri Governor Jay Nixon says that some communities saw floodwaters get to “places they’ve never been before”. Normally if the middle of the country is going to see flooding like this, it is going to happen when the snow begins to thaw in the spring. For something like this to happen in December is absolutely unprecedented. -Prior to that, a conveyor belt of storms that barreled into coastal areas of Oregon and Washington caused horrible flooding in many areas. In fact, in early December we witnessed the wettest day in the history of Portland, Oregon. The resulting landslides and floods made headlines all over the nation. -Before that, the remnants of Hurricane Patricia caused nightmarish flooding in many parts of Texas. The flooding was so bad that at one point an entire train was knocked off the tracks. -Out on the west coast, flash flooding in southern California sent rivers of mud streaming across highways in southern California. The lifeless body of one man that had his vehicle completely buried in mud was recovered several days later because that is how long it took emergency workers to get to him. -To kick things off, moisture from Hurricane Joaquin caused horrible flooding all up and down the east coast back in early October. The governor of South Carolina said that it was the worst rain that some parts of her state had seen in 1,000 years. All of this flooding has happened since the end of September. Never before in U.S. history have we ever seen a series of catastrophic floods like this within such a concentrated space of time. And let us not forget that 2015 was also the worst year for wildfires in all of U.S. history, the state of Oklahoma absolutely shattered their yearly record for earthquakes, and much of the rest of the country has been experiencing highly unusual natural disasters. In fact, the state of Alaska was hit by a 7.1 magnitude earthquake just today. In addition, my regular readers already know that global financial markets have just had their worst start to a year in all of modern history. Could someone be trying to tell us something? Most people out there would dismiss such a suggestion without even thinking about it. To most Americans, it must just be a “coincidence” that we have been hit by major disaster after major disaster since the month of September. But there are others that would point out that you eventually reap what you sow, and this nation has been doing a tremendous amount of evil for a very long time. President Barack Obama issued a statement today, celebrating the 43rd anniversary of the Supreme Court’s 1973 Roe v. Wade decision that declared abortion a constitutionally protected right. “Today, we mark the 43rd anniversary of the Supreme Court ruling in Roe v. Wade, which affirmed a woman’s freedom to make her own choices about her body and her health,” said Obama. Despite being shown our guilt over and over again, we have absolutely refused to change our ways, and so now we will pay the price for our crimes. As I have said on television, on the radio and in my articles, 2016 is the year when everything changes. Our entire way of life can be ended in a single day. And it wouldn’t even take a nuclear war to do it. All it would take for a rogue nation or terror organization to bring us to our knees is the explosion of a couple well-placed nuclear devices high up in our atmosphere. 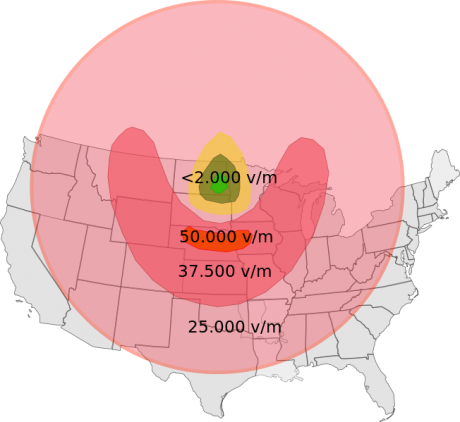 The resulting electromagnetic pulses would fry electronics from coast to coast. Of course this could also be accomplished without any attack. Scientists tell us that massive solar storms have hit our planet before, and that it is inevitable that there will be more in the future. As you will read about below, the most recent example of this was “the Carrington Event” in 1859. If a similar burst from the sun hit us today, experts tell us that life in America could suddenly resemble life in the 1800s, and the economic damage caused could potentially be in the trillions of dollars. This is one of the greatest potential threats that we are facing as a nation, and yet Barack Obama has essentially done nothing to get us prepared. Rogue nations such as North Korea (and possibly Iran) will soon match Russia and China and have the primary ingredients for an EMP attack: simple ballistic missiles such as Scuds that could be launched from a freighter near our shores; space-launch vehicles able to loft low-earth-orbit satellites; and simple low-yield nuclear weapons that can generate gamma rays and fireballs. What would a successful EMP attack look like? The EMP Commission, in 2008, estimated that within 12 months of a nationwide blackout, up to 90% of the U.S. population could possibly perish from starvation, disease and societal breakdown. In 2009 the congressional Commission on the Strategic Posture of the United States, whose co-chairmen were former Secretaries of Defense William Perry and James Schlesinger, concurred with the findings of the EMP Commission and urged immediate action to protect the electric grid. Studies by the National Academy of Sciences, the Department of Energy, the Federal Energy Regulatory Commission and the National Intelligence Council reached similar conclusions. If you are a terrorist, a dictator or a fanatic that is looking for a “killshot” for the United States, those kinds of numbers would certainly get your attention. Peter Vincent Pry, who is executive director of a congressional advisory group called the Task Force on National and Homeland Security, raised the alarm as the agreement is about to be finalized. He said U.S. military officials have confirmed such an Iranian plan. “Iranian military documents describe such a scenario – including a recently translated Iranian military textbook that endorses nuclear EMP attack against the United States,” Pry wrote in a recent column in Israel’s main online media network, Aruz Sheva. “Iran with a small number of nuclear missiles can by EMP attack threaten the existence of modernity and be the death knell of Western principles of international law, humanism and freedom,” he said. And of course there are many, many others out there that would love to see the U.S. taken down other than just the Iranians. Meanwhile, our power grid is far more vulnerable than most Americans would dare to imagine. Our entire way of life depends upon electricity. If you take away that electricity, our society is transformed literally overnight. In essence, suddenly nothing would work and just about everything that we take for granted would suddenly be gone. -Without electricity, most gas stations would not be functioning. -Hospitals would not be able to function normally. And as I mentioned above, all of this can happen even without an attack. A direct hit from a major solar storm can cause the exact same thing. NASA is warning that there’s a 12 percent chance an extreme solar storm will hit Earth in the next decade, sending out massive shock waves that would knock out grids across the world. The economic impact of this doomsday scenario could exceed $2 trillion — or 20 times the cost of Hurricane Katrina, according to the National Academy of Sciences. In recent years, we have been really lucky. There was a close call in 2012 and another one in 2013. Most people have absolutely no idea that the Earth barely missed being fried by a massive EMP burst from the sun in 2012 and in 2013. And earlier in 2014 there was another huge solar storm which would have caused tremendous damage if it had been directed at our planet. If any of those storms would have directly hit us, the result would have been catastrophic. Electrical transformers would have burst into flames, power grids would have gone down and much of our technology would have been fried. In essence, life as we know it would have ceased to exist – at least for a time. These kinds of solar storms have hit the Earth many times before, and experts tell us that it is inevitable that it will happen again. The most famous one happened in 1859, and was known as the Carrington Event. But other than the telegraph, humanity had very little dependence on technology at the time. If another Carrington Event happened today, it would be a complete and utter nightmare. A study by Lloyd’s of London has concluded that it would have taken a $2,600,000,000,000 chunk out of the global economy, and it would take up to a decade to repair the damage. Unfortunately, scientists insist that it is going to happen at some point. The only question is when. So keep an eye on the sun. The giant ball of fire that we revolve around has started to behave very erratically, and it has the power to end our way of life at any time. A filament of magnetism stretching halfway across the sun erupted during the late hours of April 4th (22:00-23:00 UT). The eruption split the sun’s atmosphere, hurling a CME into space and creating a “canyon of fire,” shown in a movie recorded by the Solar Dynamics Observatory: The glowing walls of the canyon trace the original channel where the filament was suspended by magnetic forces above the sun’s surface. From end to end, the structure stretches more than 300,000 km–a real Grand Canyon. Fragments of the exploding filament formed the core of a CME that raced away from the sun at approximately 900 km/s (2 million mph): image. Most of the CME will miss Earth, but not all. The cloud is expected to deliver a a glancing blow to our planet’s magnetic field could on April 7th. High-latitude sky watchers should be alert for auroras. The event of April 7th is not going to cause us major problems. But someday there will be a solar storm that will. Personally, I cannot even imagine what life would be like without electricity. Because we have become so deeply dependent on technology, most of us would have absolutely no idea how to live without it. An electromagnetic pulse attack would be one of the fastest ways to cripple America and end the dominance of the United States in world affairs. And in this day and age, there are hundreds of millions of people around the planet that would love to see that happen. So to not take steps to protect our power grid from such an attack is very foolish. But that is precisely what Barack Obama (and presidents before him) have chosen to do. We have technology which would mitigate the damage from an electromagnetic pulse, but rather than spend the money Obama has decided to just hope that it will never happen. Up to this point, we have been fortunate. But someday, our luck may run out. The Obama administration and the hotheads in Congress are threatening to hit Russia with “economic sanctions” for moving troops into Crimea. Yes, those sanctions would sting a little bit, but what our politicians should be made aware of is the fact that Russian officials are promising “to respond” if economic sanctions are imposed on them. As you will read about below, one top Kremlin adviser is even suggesting that Russia could abandon the U.S. dollar and start dumping U.S. debt. In addition, he is also suggesting that if sanctions are imposed that Russian companies would not repay the debts that they owe U.S. banks. Needless to say, Russia could do far more economic damage to the United States than the United States could do to Russia. The U.S. financial system relies on the fact that the rest of the planet is going to use our currency to trade with one another and lend gigantic piles of it back to us at super low interest rates. If the rest of the world starts changing their behavior, we are going to be in a massive amount of trouble. Those that believe that the United States is “economically independent” are being quite delusional. In order for U.S. economic sanctions against Russia to be effective, Europe would also have to get on board. But that simply is not going to happen. As I noted yesterday, Russia is the largest exporter of natural gas on the planet. And Russia is also Europe’s largest supplier of energy. There is no way that Europe could risk having Russia cut off the gas, especially considering the economic condition that Europe is currently in. To get an idea of just how incredibly dependent the rest of Europe is on Russian natural gas, check out the chart in this article. A whole bunch of European nations get more than half their natural gas from Russia. 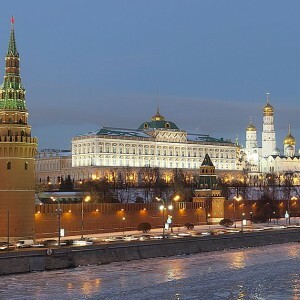 Europe would be pushed back into recession, Russia into financial meltdown. This is not the sort of self harm Europe is prepared to contemplate right now. Indeed, thanks to the indiscretion of a UK official, who was snapped going into Downing Street with his briefing documents on display for all the world to see, we know this to be the case. Trade and financial sanctions have already been ruled out. So the U.S. can do whatever it wants, but Europe is not going to be any help. Perhaps Canada will stand with the U.S., but that will be about it. 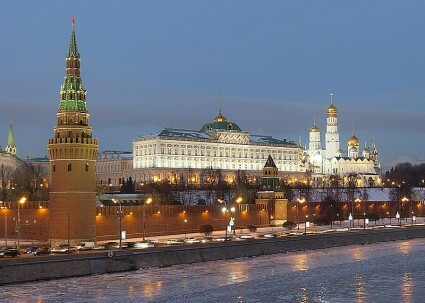 Russia said on Tuesday that it would retaliate if the United States imposed sanctions over Moscow’s actions in Ukraine. So what would the response look like? “In the instance of sanctions being applied to stated institutions, we will have to declare the impossibility of returning those loans which were given to Russian institutions by U.S. banks,” RIA quoted Glazyev as saying. On that last point Glazyev is perhaps overstating things. On their own, the Russians could do a considerable amount of damage to the U.S. financial system, but I doubt that they could completely crash it. However, if much of the rest of the world started following Russia’s lead, then things could get very interesting. Just yesterday, I wrote about how China has chosen to publicly stand in agreement with Russia on the Ukrainian crisis. If China also decided to abandon the U.S. dollar and start dumping U.S. debt, it would be an absolute nightmare for the U.S. financial system. And keep in mind that the Chinese were already starting to dump a bit of U.S. debt even before this latest crisis. In fact, China dumped nearly 50 billion dollars of U.S. debt in December alone. The only way that the current bubble of debt-fueled false prosperity in the U.S. can continue is if the rest of the world continues to lend us trillions of dollars at ridiculously low interest rates that are way below the real rate of inflation. If the rest of the world stops behaving in such an irrational manner, interest rates on U.S. government debt would rise dramatically and that would also mean that interest rates on virtually all other loans throughout our financial system would rise dramatically. And if that happened, it would be a complete and utter nightmare for our economy. Unfortunately, most Americans have no understanding of these things. They just assume that we are “the greatest economy in the world” and that nothing is ever going to threaten that. Well, the truth is that we are rapidly approaching a “turning point”, and after this bubble of false prosperity pops things will never be the same in the United States again. Whenever a major disaster or emergency strikes, millions of lives can be turned upside down in an instant. Fortunately Hurricane Irene was not as catastrophic as originally projected, but millions of people did lose power and at least 35 people lost their lives. Large numbers of homes were destroyed and the economic damage from Hurricane Irene is going to be in the billions of dollars. Now that Hurricane Irene has passed, this is a good opportunity for all of us to look back and learn some important lessons about how to prepare for disasters and emergencies. The reality is that a major disaster or emergency has happened somewhere in the United States almost every single month so far this year, and it is only a matter of time before you and your family will be faced with another disaster or emergency. No plan is perfect, but if you have a plan you are going to be far better off than if you do not have a plan. September is “National Preparedness Month“, so now is a great time to focus on preparing your family for the future disasters and emergencies that are inevitably coming. The following are 12 things that we can learn from Hurricane Irene about how to prepare for disasters and emergencies…. When a disaster or an emergency strikes, you never know what is going to happen. Even a storm such as Hurricane Irene that was tracked for weeks can end up being highly unpredictable. For example, while a tremendous amount of attention was paid to New York City, the reality is that some of the worst damage ended up being caused in Vermont. Hurricane Irene actually caused the worst flooding that Vermont has seen since 1927. The following is how the governor of Vermont described the devastation that was caused in his state by this storm…. What do we see happen every single time there is even a minor disaster or emergency? Every single time, food and other emergency supplies disappear from store shelves in a matter of hours. If you do not have at least a couple weeks of food stored up you are being totally foolish. In fact, considering how unstable the world has become, it is amazing that only a small percentage of the population has enough food stored up to be able to last for at least six months. If an economic apocalypse happens, a major war breaks out, an EMP attack takes place, a huge comet strikes the planet or weapons of mass destruction are used in this country, you may not have access to mass quantities of very cheap food any longer. Get prepared while you still can. When disaster strikes, you may only have a couple of minutes before you have to race out the door. Your “go bag” should contain some food, some water, a flashlight, a battery-powered radio, some cash, copies of your most important documents and any medicine that you may need. Have a plan and know where you are going to be heading in the event of an emergency. If you don’t have a plan or if you don’t give yourself enough time, you could end up dead. A number of people died during Hurricane Irene while they were in their cars. The following is one example that was noted in a recent CNN article…. A 64-year-old woman was found dead Sunday by Whitemarsh, Pennsylvania, police after her family grew concerned when she did not show up for work. Her body was found a half-mile from where her car was abandoned in a deluged creek, police said. During Hurricane Irene, more than 5 million people lost power. That is why it is crucial to have a battery-powered radio, a battery-powered (or solar) flashlight and extra batteries in your home. Know what you are going to do once the power goes out. Anyone that has been through an extended power outage knows how life can change almost instantly once the power goes down. What was one of the biggest problems in the aftermath of Hurricane Katrina? It turned out that one of the most critical problems was a very serious shortage of bottled water. Yes, even after Katrina dumped unprecedented amounts of water on New Orleans one of the biggest problems was still a lack of water. If you do not have clean water to drink, you can die within just a few days. So when planning for disasters and emergencies, please be sure to store up enough water. A lot of people were horrified to find roads closed or washed out during Hurricane Irene. Just because you are used to traveling on certain roads it is not safe to assume that they will always be available during disasters and emergencies. We live at a time when people like to make a joke out of anything, but major natural disasters are not to be trifled with. If you do not respect nature, you can end up dead. Amazingly, some people were actually out boating and canoeing during Hurricane Irene. According to one CNN article, one 53-year-old man that tried boating during Hurricane Irene was later found dead…. One man in Croton, New York, died Sunday while boating along with four others down the Croton River, said Lt. Russell Haper, a spokesman for the Croton police. The boat overturned in the strong rapids. The 53-year-old man was found dead after a three-hour rescue effort. The other men were pulled safely from the water. If you live near the ocean or near a major river, you need to understand that the potential for danger is always there. Even if you live a good bit in from the coast, the danger for substantial flooding is always there. The following is how one CNN article described the situation in Philadelphia at the height of Hurricane Irene…. During any disaster that involves high winds, anything that is left outside can quickly become a very dangerous projectile. The last thing that you want is for the wind to pick up heavy objects and send them crashing into your home or the home of a neighbor. If you know that a major storm is coming, please bring in everything that you can from outside. Your best chance of making it through a disaster or emergency is to have a plan. But that doesn’t mean that you should always stick with that plan. Disasters and emergencies are inherently unpredictable, so it will be very important to be as flexible as possible. Right now is the time to prepare for the next disaster or emergency. If you wait until an emergency happens, you will be out of luck. You need to develop a disaster plan for yourself and your family if you do not have one already. If you plan on storing up food, water, medicine and other emergency supplies, you need to do it ahead of time. Victory belongs to the prepared, and if you think that you will never wind up in the middle of a major disaster you are just being foolish. 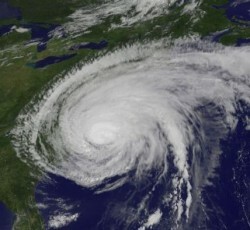 Hurricane Irene was a terrible storm, but fortunately it was not nearly as bad as it could have been. Hopefully this storm will serve as a wake up call for many of us. The next time that a disaster strikes, we may not be let off the hook so easily. Now that nearly a month has gone by since the horrific tsunami in Japan on March 11th, it is starting to become clear just how much economic damage has been done. The truth is that the Japanese economy is in much bigger trouble than most people think. This is almost certainly going to be the most expensive disaster in Japanese history. 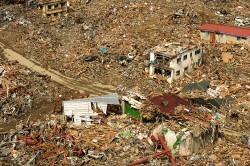 The tsunami that struck Japan on March 11th swept up to 6 miles inland, destroying virtually everything in the way. Thousands upon thousands of Japanese were killed and entire cities were wiped off the map. Yes, Japan is a resilient nation, but exactly how does a nation that is already drowning in debt replace dozens of cities and towns that are suddenly gone? The truth is that thousands of square miles have been more completely destroyed than if they had been bombed by a foreign military force. The loss of homes, cars, businesses and personal wealth is almost unimaginable. It is going to take many years to rebuild the roads, bridges, rail systems, ports, power lines and water systems that were lost. Nobody is quite sure when the rolling blackouts are going to end, and nobody is quite sure when all of the damaged manufacturing facilities are going to be fully brought back online. On top of everything else, the nuclear crisis at Fukushima never seems to end. In fact, it seems to get worse with each passing day. According to the Los Angeles Times, it has now been announced that seawater off the coast of Japan near the Fukushima facility was recently found to contain 7.5 million times the legal limit of radioactive iodine…. Do you think anyone is going to want any Japanese seafood after this? In fact, at this point one must really question the long-term prospects for the seafood industry in that entire region of Asia. There are going to be tens of millions of people (myself included) that will no longer want anything to do with any seafood that comes from that part of the world. Sadly, some nuclear experts now claim that it could take years to bring the reactors at Fukushima fully back under control. At the end of this crisis, how large of an area around Fukushima will be uninhabitable? Japan is the third largest economy in the world, but it never was a large nation to begin with. Now that the tsunami and the nuclear crisis at Fukushima have made the amount of usable land significantly smaller, what is that going to mean for the future of the Japanese economy? The truth is that there are already signs that the Japanese economy is regressing into another recession. According to The Telegraph, one major manufacturing index in Japan has already shown a very serious decline…. The purchasing mangers’ index (PMI) gave an early indication of the extent of the damage wreaked on the economy as it dropped 6.5 points to a reading of 46.4, the largest slide since the survey began in late-2001. In particular, the auto industry is really being affected by this crisis. Vehicle supply chains all over the globe are now in a state of chaos. Approximately 3,000 individual parts go into every single new vehicle. If even one of those parts is missing, a new car or truck cannot be built. So just how big of a problem are we looking at? Well, it was originally projected that 72 million vehicles would be built around the globe in 2011. As a result of the crisis in Japan, approximately 5 million of those vehicles will not be built. In fact, Goldman Sachs is projecting that this crisis is currently costing automakers in Japan $200 million every single day. A recent article on CNBC detailed some of the problems that Japanese automakers are facing right now…. In the weeks ahead, car buyers will have difficulty finding the model they want in certain colors, thousands of auto plant workers will likely be told to stay home, and companies such as Toyota, Honda and others will lose billions of dollars in revenue. More than two weeks since the natural disaster, inventories of crucial car supplies — from computer chips to paint pigments — are dwindling fast as Japanese factories that make them struggle to restart. Because of supply chain disruptions, a number of North American manufacturing facilities look like they will be shutting down at least for a while. For example, Toyota has announced that it will be shutting down all of its North American factories for a certain period of time because of shortages of parts from Japan. But Toyota is far from alone as a recent report in The Globe and Mail made quite clear…. Honda Motor Co. Ltd. has already slashed output by half at its North American plants, while Nissan Motor Co. Ltd. will shut all its U.S. and Mexican plants for at least one week in April. Ford Motor Co., too, has halted production at a truck plant in Kentucky this week. So why don’t North American facilities just switch to other suppliers? Unfortunately, as CNN recently noted, it is just not that simple…. Japanese companies also specialized in making the array of highly specialized computer chips that control everything from the engine to the brakes in modern cars. Computer chip production is a complex process that can take weeks and involves hundreds of individual steps, Morgan Stanley analyst Noriaki Hirakata said. Not only that, but if an automaker is forced to find a new source for an electronic chip, the process of “certifying” a new computer chip supplier — that is, determining that a new company can meet all the requirements for cost, quality and quantity — can take as long as a year, Hirakata said. The truth is that this is a complete and total economic disaster. The Japanese economy is not going to be the same for many years to come. In fact, many are now warning that this could be one of the triggers that could lead to another major global financial crisis. One of the big fears is that Japan will need to sell off a large amount of U.S. Treasuries to fund the rebuilding of that nation. If that were to happen, it could result in a “liquidity crisis” similar to what we saw in 2008. Already the rest of the world is really starting to lose confidence in the U.S. dollar and in U.S. Treasuries, and if Japan starts massively dumping U.S. government debt things could get out of control fairly quickly. In any event, it is undeniable that the Japanese economy has been absolutely devastated by this crisis. In fact, when you combine the tsunami and the nuclear crisis, this could be the biggest economic disaster that any major industrial power has faced since World War 2. So will the crisis in Japan push the rest of the globe into another major recession?